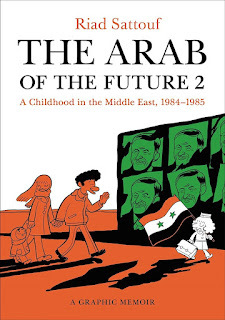 Riad Sattouf grew up in the Middle East -- Lybia and Syria, as far as we've seen to date, though this book only brings him up to about age 7 in 1985 -- the son of an unrealistic Arab academic father and a compliant French mother. And he's telling us about it at great depth; the first volume of his graphic-novel memoir (you get one guess as to the title) covered his earliest memories up to about age six, and this one covers basically his first school year. He's also a filmmaker and writes a weekly column in his now-native France, so one can hope that he's not going full A la Recherche du Temps Perdu on us here, with successive books of memoir covering every-shorter periods of time in his ever-more scrutinized childhood. On the other hand, maybe that would be pretty cool. So we might be in for The Arab of the Future 25, covering the hours from noon to seven PM of May 23, 1991, around 2040 or so. So Riad ends up in that horrible school -- cruel, almost sociopathic-seeming classmates all about him and a female teacher who unpredictably switches from happy blandness to vicious glee in capital punishment up in the front. He doesn't learn anything academic for quite some time, though Sattouf does show the other things he learns about the people around him. They're not happy lessons, but the human race is full of nasty, evil, cheating, scheming people, so they are important, necessary lessons. It all adds up to an episodic book; Sattouf doesn't tell it in chapters, but it does run from moment to moment, each one showing us another side of this mostly unpleasant town of mostly ignorant and often seriously damaged people. 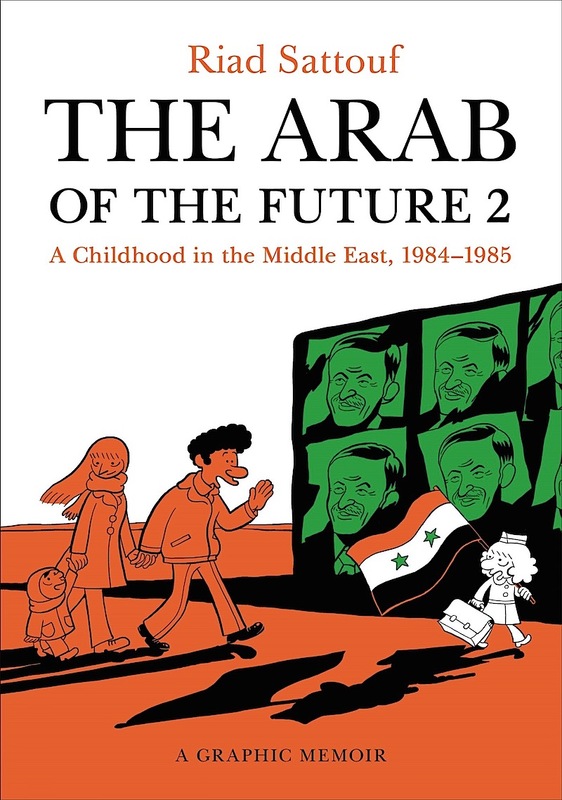 Sattouf makes it compelling, but I do hope that if there's an Arab of the Future 3, that it takes little Riad to somewhere less medieval and soul-crushing than Ter Maaleh.